“I stand with CeCe” Poster Project | Support CeCe! 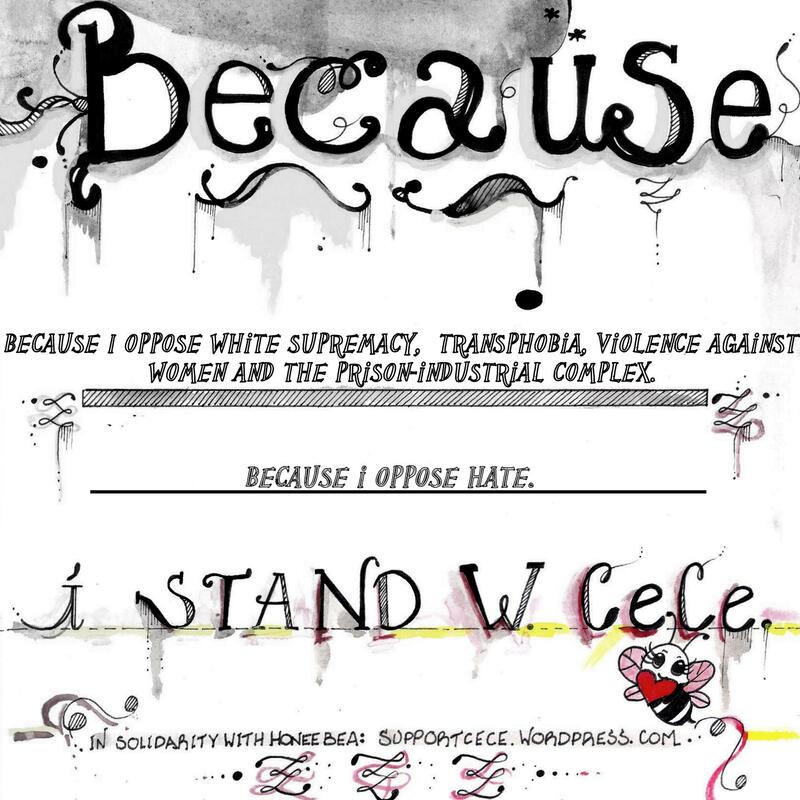 The “I Stand with Cece” poster project is an effort to capture the breadth of Cece’s support. We believe that racism and transphobia permeate all layers of government, and that there is no justice for Cece in the Hennepin County legal system. We believe that a court system that defends white supremacists forfeits legitimacy. We call upon the Hennepin County Attorney Michael Freeman to drop all charges against Cece, and we call upon all people of conscious to connect with her case and engage in efforts to defend her. Drop the poster off at the Exchange at 3405 Chicago Ave S, in Minneapolis, or bring it to any upcoming event. Download a companion poster below, and display it proudly. Our goal is to create a visual display that will illustrate the diversity of reasons to stand with Cece. Thank you for adding your voice to the mix. 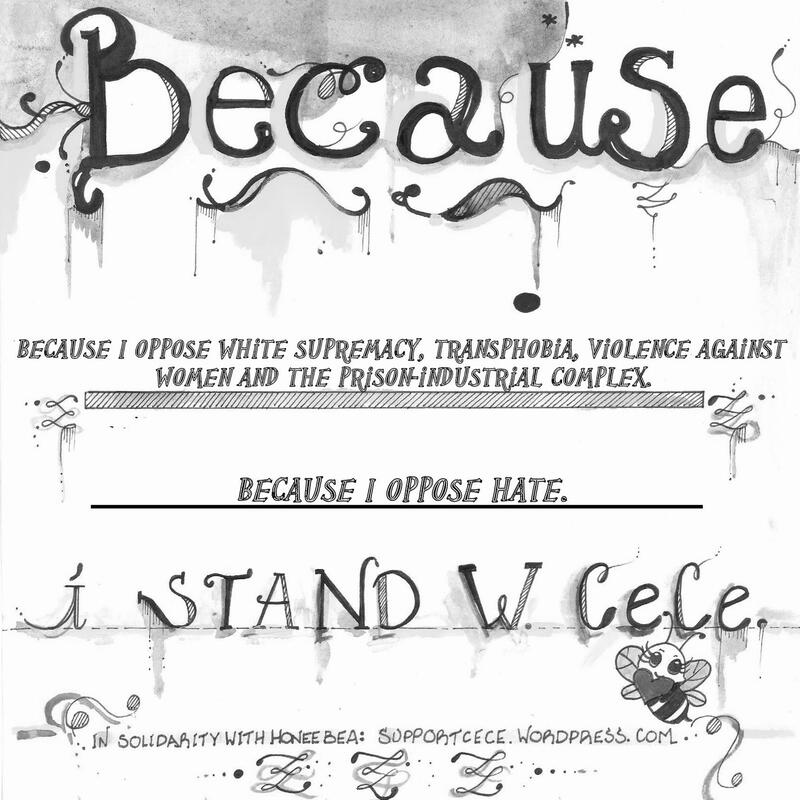 Because I oppose white supremacy, transphobia, violence against women, and the prison-industrial complex.